London, May 31, IRNA-Iran's defense budget remains a fraction of the expenditure of its Arab neighbors in the Persian Gulf in per capita terms, according to the latest edition of Military Balance. The spending by Iran is also the least as a percentage of the country's gross national product (GNP) in the region with the exception of the United Arab Emirates (UAE). 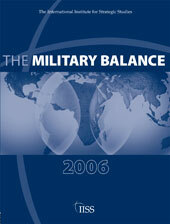 Military Balance, published by the International Institute for Strategic Studies in London, puts Iran's defense budget for 2005 at dlrs 6.2 billion. The amount is equivalent to dlrs 91 per head of the country's 68 million population, up to 25 times less than its neighbors on the other side of the Persian Gulf. Saudi Arabia's defense budget of dlrs 25.4 billion corresponds to dlrs 962 per capita, spending by Oman of dlrs 3.02 bn equates to dlrs 1,007 per head and the UAE's dlrs 2.65 bn expenditure works out at dlrs 1,035 each for its 2.56 million inhabitants. The ratio is even higher for Kuwait, an equivalent of dlrs 1,856 per head for its dlrs 4.27 bn defense budget in 2005. In Qatar, the cost reaches dlrs 2,538 per capita to make up its dlrs 3.02 bn expenditure. In terms of the country's GDP, Iran's defense spending works out at only 3.5 percent, higher than only than the UAE's 2.23 percent among Persian Gulf countries. Expenditure in Bahrain, which is equivalent to dlrs 764 per capita, is 4.1 percent of GDP. In Qatar it is 6.19 percent, in Kuwait 6.24 percent, in Saudi Arabia 8.44 percent and in Oman 9.64 percent, the report said.